3d glasses on pink background. 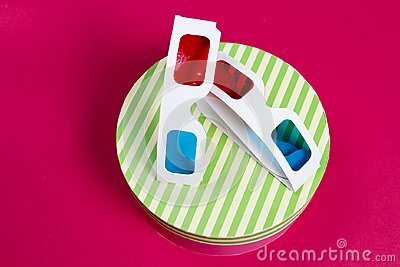 Two 3d glasses on gift box. Watch movie. Film concept. Cinema.